Gold and silver were not the U.S. government priorities during World War II. Copper and other heavy metals were. But things have changed in the past 70 years. 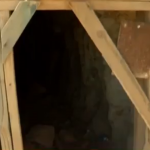 Thus, a California mine whose closure was once ordered by the War Board has been reopened and stands as one of the last remaining gold producing sites in the state. 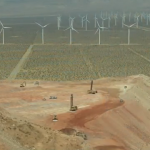 The Soledad Mountain Project, bought three decades ago by Golden Queen Mining, is located 5 miles from the town of Mojave in the southern Kern County. Its gold and silver production is projected to average 74,000 oz and 781,000 oz respectively per year. The primary ore types are rhyolite porphyry and flow-banded rhyolite, pyroclastics and quartz latite porphyry representing approximately 70%, 10% and 20% of the ore tonnage respectively. 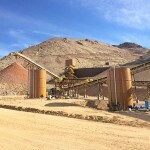 Soledad’s operations attract attention because, instead of tunneling the mountain, Golden Queen excavates and removes 20 vertical feet of rock from different areas of the hill, then crushes the material to prepare ore particles for stacking on two leach pads, and finally extracts gold and silver using chemical processes. Production is projected to last over a period of ~11 years, but the mine also generates aggregate material for construction which is estimated will create revenue for at least 20 to 30 years. Since the site is very close to the State Route 14, the Union-Pacific railroad lines, and a power line that actually crosses its boundaries, Golden Queen can easily move large amounts of materials, which reduces cost and extends the place’s operational life.